The main thing is to keep the main thing the main thing. In difficult times, it is crucial to remember our most important values, purposes and activities and to live into them more fully. Reducing anxiety and recovering our purpose is the best way forward. 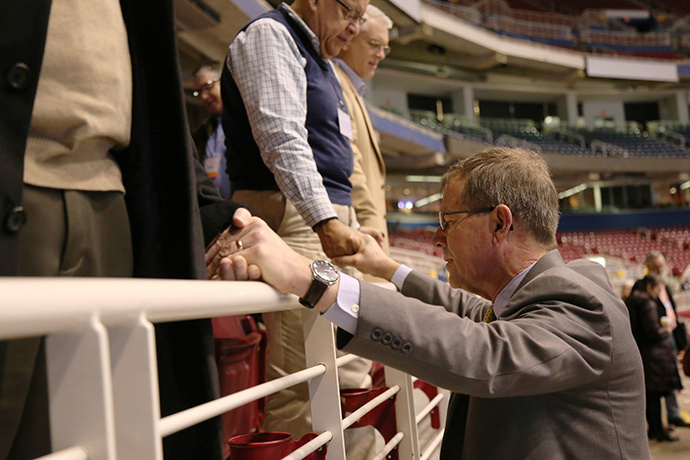 General Conference 2019 was a deep disappointment to many United Methodists who hoped for a change in our doctrine and discipline concerning lesbian, gay, bisexual, transgendered and queer people. To those who are LGBTQ and their families and friends, we want to say that we love you, God loves you and you are truly welcome in our church. We also know that the reaffirmation of our current teaching was hurtful and feels different than the Church’s expression of love. For other United Methodists, the reaffirmation of our current teaching was a relief. For those who believed they could not remain in a church that believes same-gender marriage is equivalent to traditional marriage, you now can remain. To those people we say that we want you to stay with us and we are better together. First, God is God and is still in charge. Breathe deeply—Jesus is Lord. In difficult times my faith keeps me going in the right direction even when it appears to be counter-factual. Second, the church of Jesus Christ is a pilgrim church. It is not perfect. We sometimes make mistakes and get it wrong. The debates in our General Conference are about where we have gotten in wrong and how do we make it right. Fourth, Christ’s church is diverse, and we should embody and celebrate that diversity as much as possible. That includes race, gender, ethnicity, nationality, language and sexual orientation. I am blessed to belong to a church like the United Methodist Church. Fifth, our mission is to make disciples of Jesus Christ for the transformation of the world. When we focus on our mission, we come together and find great meaning and purpose. Last of all, the unity of the church is a value. It is secondary to our mission, but it contributes to our mission. Our Book of Discipline says that our unity is dependent on our doctrine, our mission and our discipline. We need to respect our covenant, focus on our mission and proclaim Christ to the world. May it be so.